Water. We need it. We use a lot of it. It’s estimated we consume as much as 10 billion tonnes of freshwater each day globally. That equates to a massive 4 trillion cubic metres annually. That’s more than just quenching a mild thirst. Yet water is is so fundamental to our daily lives that it’s sometimes easy to take it for granted. The UN’s World Water Day on 22 March seeks to highlight the importance of this vital resource. Today, over 2.1 billion people around the world lack safe drinking water in their homes. Understanding that need frames the importance of the on-going mission to tackle this critical issue. Mankind has gone to extraordinary lengths throughout history in the quest to procure water. We want to explore those giants on which some of the world’s most impressive procurement projects stand, before exploring the benefits and opportunity of smart water use as part of modern procurement practice. 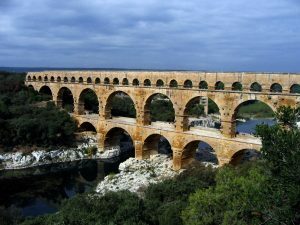 For over 500 years from around 300 BC, roman aqueducts transported fresh water to the heart of Rome. Alongside 420km of sandstone structures raised above ground, the system included countless kilometres of subterranean channels that ensured fresh water and improved sanitation for the roman capital. The system the Romans engineered went on to become used throughout the empire, until it fell into disrepair with the slow decay of roman influence. The iconic arches of these constructions remain one of the most enduring images of historical water procurement projects across the world. 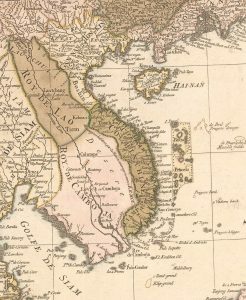 The Khmer Empire was the flourishing heart of Southeast Asia around a thousand years ago. At the height of its power the capital, Angkor Wat, was estimated to be home to as many as a million people, this at a time when the population of modern mega-city London was just 18,000. 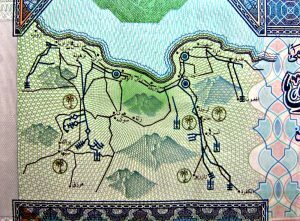 Key to the empire’s success was an elaborate water network stretching over 1,200 square kilometres. This hugely impressive water procurement project helped irrigate fields, supply fresh drinking water, and provided resilience to monsoon seasons that even modern infrastructure finds challenging today. Libya’s Great Man-Made River claims to be the largest underground network of pipes and aqueducts in the world. The project was launched in 1984 by controversial head of state Colonel Gadhafi. Today it’s estimated to form a network spanning 2,820 kilometres beneath the sands of the Sahara Desert. While instability in the country threatens its legacy, it remains one of the most impressive feats of water procurement in modern civilisation. The need for smart water use is a pressing global concern. The awe-inspiring procurement projects above highlight how precious a resource water is. That’s something we also have to recognise in our business. Malaysians hold the unfortunate title of Southeast Asia’s more prolific wasters of water, with average personal consumption 27% higher than the World Health Organization recommended limit. More crucially for our business outlook, industrial water demand is expected to triple over the next decade. That means it’s increasingly important to be smart with water use in our business. With ethical and sustainable procurement practice a growing consideration and determiner of success, an organisation’s water footprint may well become the next frontline on the battle to procurement best-practice. It’s also a crucial area to consider in gaining notable competitive advantage. In the quest to understand and manage a businesses’ water footprint, the knowledge of procurement professionals will be vital. To give just one example, research by McKinsey showed as much as 90% of the water footprint for production by large industrial users could lie within the supply chain. The drive to cut water use isn’t just a quest for ethical appreciation or a chase for some intangible business benefit. While the wider motivation is admirable, this is a drive which can deliver impressive savings. Global giant PepsiCo saved more than US$80 million in just five years thanks to water conservation initiatives. The amazing projects above highlight the importance of water as a vital resource. It is also one that increasingly deserves scrutiny in our procurement strategy. So next time you’re reaching for a bottle of water at the office, why not look at another refreshing idea alongside it? 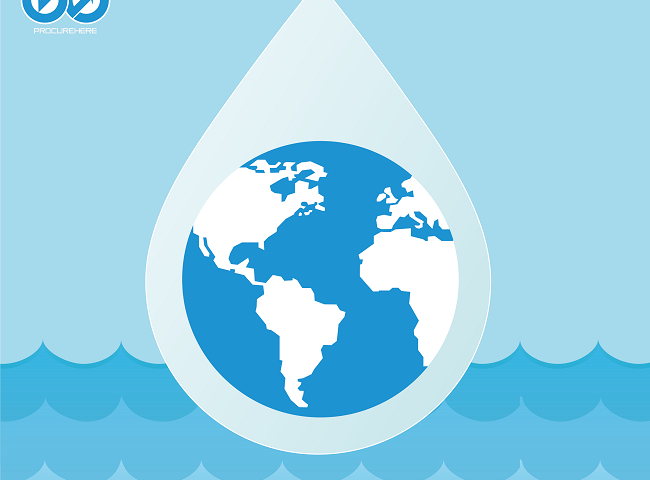 It’s time to explore the benefits of reducing your water footprint for your business.